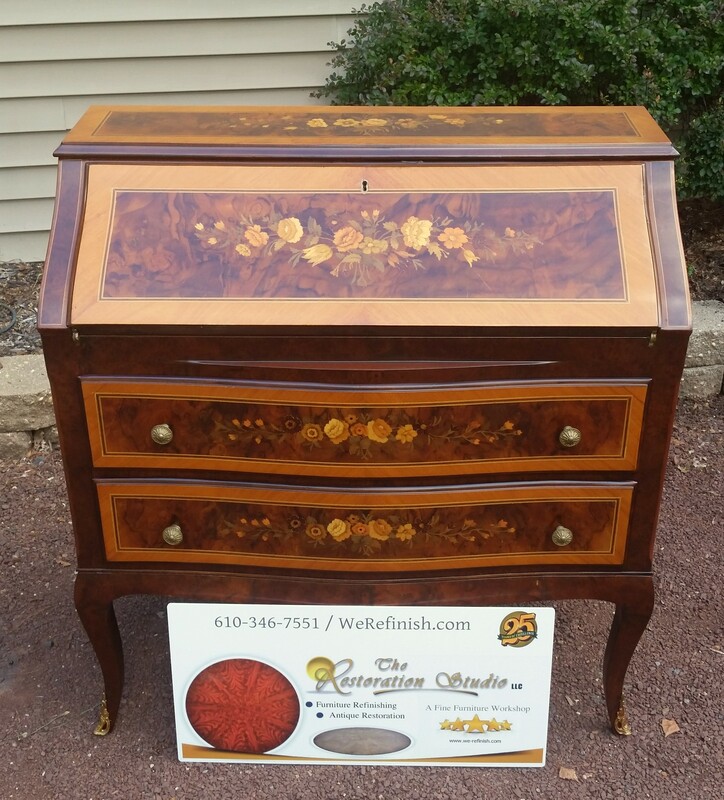 Achieving a nice blemish free finish on your furniture refinishing project using polyurethane is possible even for a first time finisher is you follow the steps in this article. 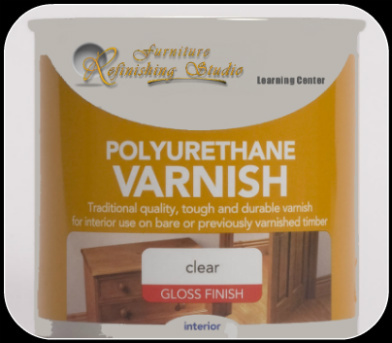 Polyurethane is a type of synthetic varnish often times used by the home refinisher when refinishing furniture. Advantages are the ease of application and finish durability. One key to a good finish is a smooth surface, because your finish will only be as smooth as your wood Sand your project with progressively finer grits of sandpaper. Paper with a higher grit number removes the deeper scratches left by paper with a lower numbered grit. Most projects need an initial sanding with medium sandpaper (100-grit) followed by a fine paper (150-grit) and then an extra-fine sanding with 220-grit. Carefully examine the surface. Look closely for any scratches left by coarse-grit sandpaper. Once the wood is blemish free, remove the dust. I use a shop vacuum with a soft brush attachment, followed by a wipe-down with a lint-free cloth moistened with mineral spirits. Finally, to be completely sure the surface is free of dust, wipe it with a tack cloth. A clean finishing room is a must. Thoroughly clean your shop or garage of sawdust before you start. You must have good ventilation as well. Work with open windows. Have an exhaust fan facing out through a window to remove vapors and crack a window at the other end of the room to let fresh air in. If you're sensitive to fumes or can't get good ventilation, it's a good idea to wear a respirator with an organic cartridge. 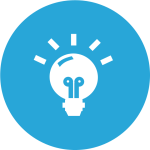 A fan placed near the workpiece is bad news and will only blow dust right on your project. The idea here is a gentle flow of air in and then out. If you plan to stain the work surface, be sure to follow the directions on the can. Whether the stain you use is oil-based or water-based, be sure the surface is clean and dry before you brush on the seal coat. To seal the wood before top coating, thin your oil-based polyurethane to one part mineral spirits and two parts polyurethane (first, gently stir the contents in the can). Pour the products into a glass jar and gently stir the mixture with a flat stir stick. NOTE: Never shake a can of polyurethane! You'll introduce air bubbles into the mixture that'll end up as bumps on the finished surface. NOTE: Use a good-quality natural bristle brush to apply oil-based polyurethane. Exploded-tip synthetic brushes (each strand is divided into multiple strands at the tip) may introduce air bubbles into the finish. Load your brush by dipping it about 1 in. into the mixture and brush the wood with long, even strokes from end to end (Photo 2). Keep a wet edge by overlapping each pass until the surface is completely coated. Catch any drips with your brush and smooth them into the surface. Before I clean and put the brush away, I like to wait for five minutes then look for any further dripping. Brush on the first coat of undiluted polyurethane. Use undiluted polyurethane varnish straight from the can for the second and third coats. After you've wet the entire surface, go back and overlap each stroke across the entire surface, following the direction of the grain. Within 24 hours of applying your seal coat, brush on a coat of finish right from the can. Avoid wiping the brush on the rim of the can because this may introduce air bubbles. Spread the varnish over the entire surface with long, even strokes. Don't use too much or you're likely to get runs; use just enough to get a nice, even coat without dry spots. As soon as the surface is coated, brush over it again with the grain, from end to end. Overlap your strokes to get a uniform coating; now's also the time to catch any drips, especially along the bottom edges. Again, wait five minutes after the first coat and inspect for any drips. Let this coat dry for 24 hours, then apply the final coat. After the first full-strength coat, you might find a run or two and maybe a gnat or dust speck that settled on the surface before it dried. Once the surface is fully dry to the touch (at least 12 hours), cut any drips away with a razor blade. Be careful not to cut completely through the finish. Just cut deep enough to blend with the surrounding surface. It'll require the delicacy of a surgeon; take your time. After the surface has dried for 24 hours, any small blemishes can be removed by wet-sanding with 400-grit sandpaper mounted to a sanding block. Wet-sand the surface by dipping the sandpaper in water and using circular strokes to remove the blemishes and any dust bumps. Use enough water to lubricate the sandpaper so you won't burn through the delicate finish. Sand just deep enough to remove the blemish. Too many strokes will dig right through the finish to the wood below and create a finisher's nightmare. (You'll have to fuss with spot finishing and blending.) When the surface feels smooth, wipe it with a moist cloth and then dry it with a dust-free cloth. Brush on the final coat within 48 hours of the previous coat. Use the same care with this coat. 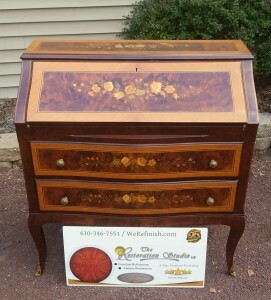 With any luck, you'll have a smooth, bump-free finish after it dries and you'll be done! If luck has passed you by, you may need to repair some runs or sand away bubbles or dust. Again, use the same methods as before, but keep in mind that if you wet-sand at this stage, you'll need to polish the surface. If polishing is required, it's best to wait several days for the finish to cure. Dampen a clean cotton cloth with water and apply automotive rubbing compound to the surface in a circular motion. The compound has a fine abrasive that'll remove any scratches left by the 400-grit sandpaper and restore the luster in the finish. After rubbing, let the surface dry and buff the finish with a clean, dry cloth. If the finish is still a bit cloudy, apply more automotive polishing compound using the same method. Let it dry, then buff the surface. You'll get a great-looking shine that's worthy of a pro.